At the moment, Gupta is involved in the field of education and public healthcare in India. He set up the Indian School of Business in Mohali and also formed Public Health Foundation of India. In an interaction with media Tuesday, Gupta shared his experiences during the trial, explained why he thinks he’s innocent, and talked about his current endeavours. 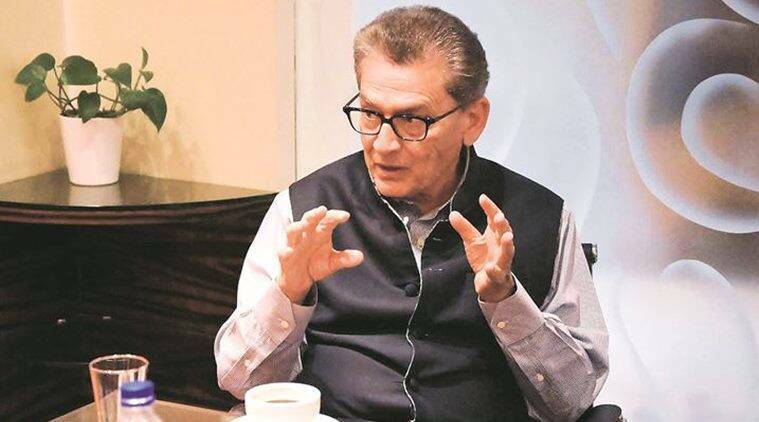 Rajat Gupta, former managing director of McKinsey, who was also on the board of various organisations like Goldman Sachs, was in the city Tuesday as a part of a tour for promoting his new book, ‘Mind Without Fear’. Charged with insider trading in 2012, Gupta spent two years in jail and wrote this book to share his side of the story. He continues to maintain that he is innocent and the charges against him were politically motivated. In an interaction with media Tuesday, Gupta shared his experiences during the trial, explained why he thinks he’s innocent, and talked about his current endeavours. “I thought it would be interesting to write this story because I feel that young leaders, inclined towards business and finance, would relate to it. I hope they would learn some lessons from it. Also, I didn’t have a chance to tell my side of the story earlier,”explained Gupta, when asked about the reasons for writing the book. A fellow prisoner suggested that Gupta pen down his side of the story. “The fellow prisoner said, “You have a very interesting life, why don’t you write a book about it?” I didn’t take it seriously until my family and friends also urged me”, says Gupta, who started writing the book soon after his release from prison. In the book and during the interaction, Gupta offers a solid defense against the crimes he was convicted for. “They only had circumstantial evidence”, he says. “The government insisted on lying. They knew I was innocent. They checked my financial statements, bank details, etc. and they could find no evidence that I had benefitted from the alleged insider trading”. he was overwhelmed by “sheer fatigue”. The book is his testimony, and though it will not clear him of the charges, it will certainly make his voice be heard. “The response has been very good. I was surprised by the level of interest”, says Gupta when asked about the book’s reception. He blamed the poor faculty in Indian universities and lack of academic research for a lacking education system. With respect to public healthcare, he is currently working in Gujarat with a few organisations to improve maternal and child health. “The idea is to bring technological solutions to solve their problems”, said Gupta.